2 Cups Shredded Cooked Chicken I've used Canned Chicken in a pinch! In a mixing bowl, combine the first 6 ingredients. 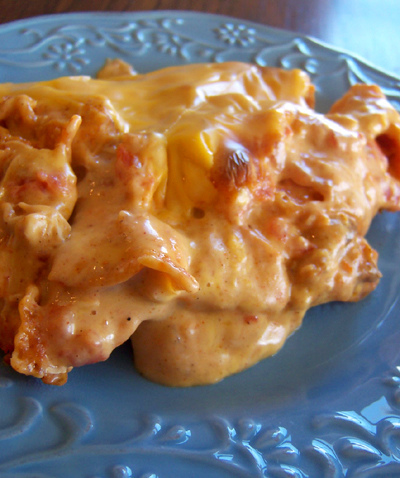 PS - The chicken mixture would also makes a great enchilada or burrito filling!